 The FFA Coaching Resource is a digital version of the National Curriculum, with sessions and information more easily accessible for coaches at all level. The site contains all the sessions and information adapted to seamlessly display on a device, be it mobile, tablet or computer. 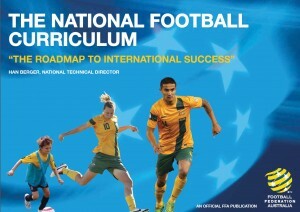 This book is a very useful tool for coaches and parents working in grassroots football. A great resource for coaching 5-7 year olds and features coaching tips and practise drills to make football enjoyable and fun for younger age groups. 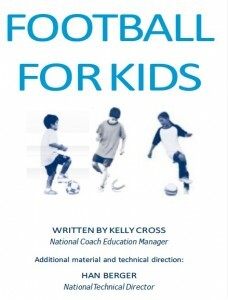 Click HERE for the Football For Kids ebook. This template is designed to help you plan your training session with Beginning, Middle & End activities, and also keep track of what equipment you will need. A great resources for coaches just starting out. 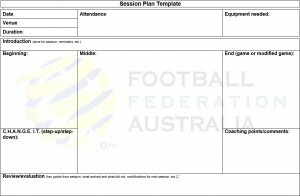 Click HERE for the Discovery Phase Session Plan Template. The Playing Rules and Formats are outlined for ages 5-11 within this document. You will find rules and formats for U6-7, U8-9, and U10-11 age categories for AIA Vitality MiniRoos. 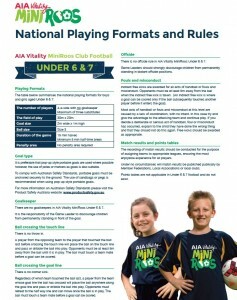 Click HERE for the AIA Vitality MiniRoos Playing Rules. A complete season training session guide for ages 5-9. It features training activities for skills based on 1v1, running with the ball, and striking the ball. A great resource to help you plan your training session. 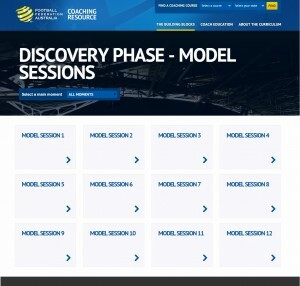 Click HERE for the Discovery Phase Model Sessions. Training session guides for ages 10-13. It features training activities for skills based on 1v1, running with the ball, striking the ball, and first touch. A great resource to help you plan your training session. 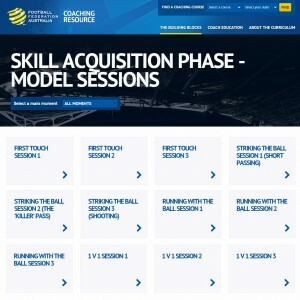 Click HERE for the Skill Acquisition Phase Model Sessions. Training session guides for ages 13-17. It features training activities for skills based on 1v1, running with the ball, striking the ball, and first touch. A great resource to help you plan your training session. 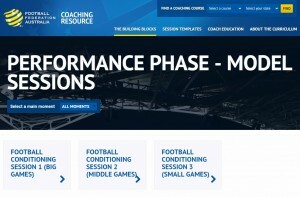 Click HERE for the Game Training Phase Model Sessions. Training session guides for ages +17. Prepare teams for a competitive environment where winning has become the main aim. Train to focus on solving football problems, based on match analysis. Integrate FOOTBALL CONDITIONING as a key part of the program. Click HERE for the Performance Phase Model Sessions. Skill of the Week is a series of short videos aimed at assisting community coaches to plan and implement safe, fun and age appropriate coaching sessions for their players. 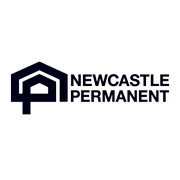 Click HERE for Newcastle Permanent Skill of the Week videos. This Participant Manual provides vital coaching information and feature model sessions for the Skill Acquisition Phase and covers the course content included in the Skill Training Certificate course. 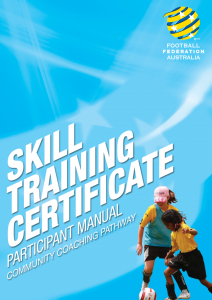 Click HERE for the Skill Training Certificate Participant Manual. 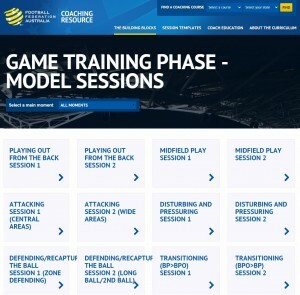 This Participant Manual provides vital coaching information and feature model sessions for the Game Training Phase and covers the course content. 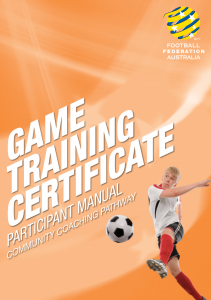 Click HERE for the Game Training Certificate Participant Manual. Register as a coach to receive weekly updates, resources, and access to exclusive coaching opportunities and offers.